Introducing to you, the latest Etisalat Cheapest Tariff Plan of the year! The new Etisalat Tariff Plan is exclusively made for those that love making calls. And it is also data capped! So those that love browsing, welcome! The New Etisalat Tariff plan is really amazing and great and it gives you super powers airtime to call all network. If you load more than N100, you will get 250%, while if you recharge below N100, you will get 150% bonus! The New Etisalat Real Bonus offer is open to all new customers on Easystarter, Easycliq, Talkzone and Cliqlite. The recharge bonus has a 7-day validity, and can be used for calls, pay as you go data and SMS and the bonus account is divided into two 50% splits to call other networks and the other half to call Etisalat lines. There is no tweak about it, very simple, easy and amazing. 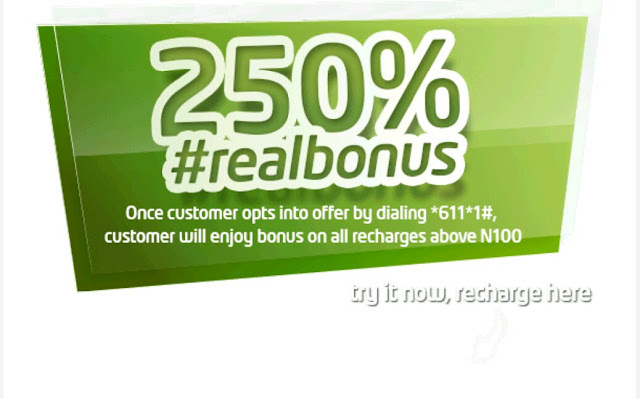 All you have to do is to recharge your line with N100 and above, you get 250% bonus to call any network in Nigeria. For instance, you recharge your line with N100, you’ll get N350. When you recharge your line with N200, you’ll get N700 and the more you recharge, the more you get the bonus. And the bonus account is divided into two 50% splits to call other networks and the other half to call Etisalat lines and call all network on this tariff plan charged at 40K/seconds. You don’t need to download any plan to subscribe. With this New Etisalat Real Bonus plan, you will get a lot of bonus for calls to all network in Nigeria and you will be eligible to subscribe to 1GB for N500, just like the MTN Pulse. To Subscribe or activate this plan,To opt-in, Dial *611*1# and start enjoying. 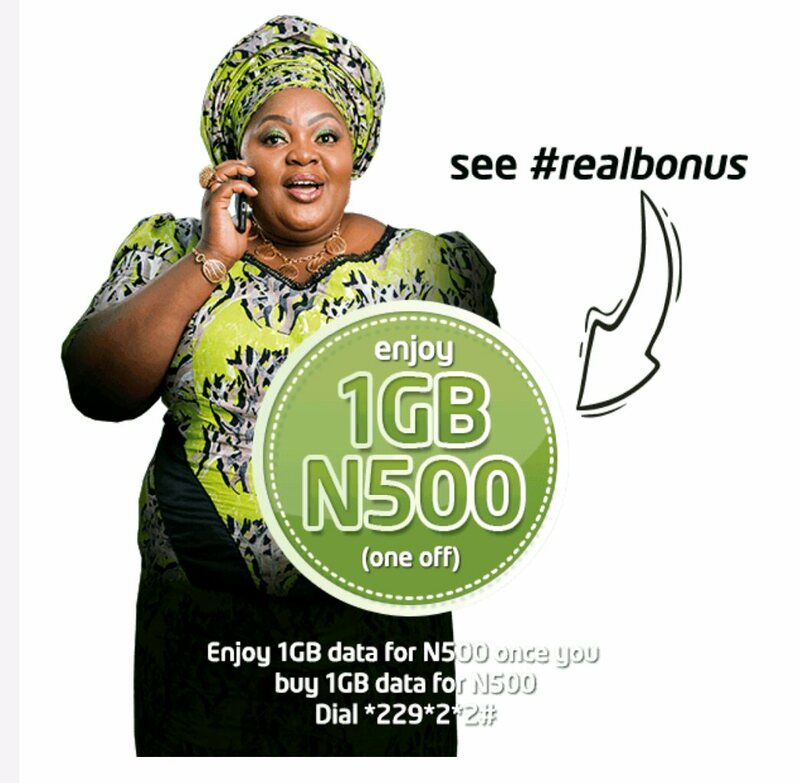 Meanwhile, to subscribe to Etisalat 1GB for N500, dial *229*2*2#. Always remember that this is the latest Tariff Plan coming right from Etisalat Nigeria. Do you have anything to say, lets discuss it in the comment box.